Lawmakers have proposed legislation that would phase out cigarettes in the state, eventually banning them for everyone but the oldest residents. EU Health Commissioner Vytenis Andriukaitis, in Athens to mark World Cancer Day, was also asked to comment on video footage, which aired this week, showing deputy health minister Pavlos Polakis, who is also a surgeon, holding a cigarette while dancing in a club. “It’s shameful! It’s shameful! This guy knows nothing about health,” Kathimerini quoted Andriukaitis as saying. The pen's battery blew up when William Brown tried to use it, sending shards of metal into his face and neck and severing an artery. He died two days later in hospital of a stroke, in what is at least the second such death in the US. The main point is that a target, a mechanism is most certainly not a drug. This is true scientifically, and thanks to Univ. of Rochester v. Searle, it’s true legally as well. Whatever the financial impact of isatuximab, the drug will have symbolic importance to Sanofi if it comes to market. Through a period in which partnerships have been critical to Sanofi, isatuximab was one of the in-house assets management pointed to as evidence that internal R&D was firing again. Sanofi plans to submit the therapy, isatuximab, to U.S. and European regulators in the first half of 2019 for potential approval as a third-line therapy for relapsed or refractory multiple myeloma. While synthetic control arms may be a new concept to many, they have already been successfully used in regulatory decision-making. Roche, for example, met European Union coverage requirements for marketing Alecensa (alectinib) in 20 European markets using a synthetic control arm. First randomized Phase 3 trial to evaluate the benefit of adding a monoclonal antibody to pomalidomide and dexamethasone for treatment of relapsed/refractory multiple myeloma. Researchers said the drug hit the endpoint on progression-free survival among patients who had been treated with at least two earlier therapies. There’s no data yet, but it will be closely watched when Sanofi does post the results as it hustles a new drug application to regulators. Publication includes summary of the year’s most significant IO research, policy, and real-world care delivery. GSK's deal with Merck KGaA comes just two weeks after the Tesaro acquisition closed and underscores how the U.K. drugmaker, like many of its rivals, has a particular interest in immuno-oncology. One of the most advanced is a midstage test for M7824 pitted against U.S. Merck’s I-O giant Keytruda, as a first-line treatment in patients with PD-L1 expressing advanced non-small cell lung cancer (NSCLC). No small feat given its U.S. rival’s dominance. Eight high priority immuno-oncology clinical development studies ongoing or expected to commence in 2019, including studies in non-small cell lung and biliary tract cancers. Xencor's IL-15 bispecific cytokine platform provides a more druggable version of IL-15 with potentially superior tolerability, slower receptor-mediated clearance and a prolonged half-life, and is intended for development with a wide range of combination agents due to its proposed mechanism of activating tumor-killing immune cells. The deal is primarily focused on cancer, but the antibody engineering approach that Xencor brings to the table can be applied in a variety of disease arenas. The crowded field explains why Gilead took the decision to ax its program but coupled with Yescarta’s sluggish uptake—described as “steady and measured” on the fourth-quarter results call—it is starting to make the Kite deal look increasingly like an expensive gamble. The company’s therapies consist of a tumor-targeting antibody that homes in on tumors and is paired with an immune stimulant that turns cold tumors into hot ones. In preclinical testing, the company says that these immune-stimulating antibody conjugates eliminated tumors. The company has not yet said which cancers it aims to treat. 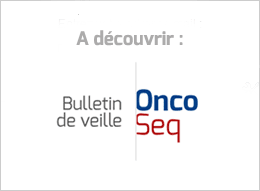 It is indicated in combination with carboplatin and either paclitaxel or nab-paclitaxel, for the first-line treatment of metastatic squamous NSCLC. The application is based on data from the late-stage KATHERINE study that showed 88.3% of patients treated with Kadcyla did not see their breast cancer re-emerge versus 77% of those given Herceptin after three years. The drug here is TAS6417, an EGFR tyrosine kinase inhibitor, which “spares wild type EGFR. Drug companies can file patents not just on biologics themselves but also on how they’re made, how they’re formulated, and how they’re administered. That means the famed “patent cliff” that saw blockbuster pills rendered affordable within days of losing their exclusivity has never come for biosimilars. First presentation of data from the pivotal Phase III ARAMIS trial with the investigational compound darolutamide in patients with advanced prostate cancer that has not yet metastasized. President Trump on Tuesday left Congress a two-syllable mandate on the issue of prescription drug pricing: “Do more.” To some Democrats, the words presented an open invitation to collaborate. Others were left confused as to what, exactly, the White House wants. In late January, around 150 people gathered in Dublin for PIDapalooza, “the open festival for persistent identifiers” (aka PIDs).